I absolutely love the holiday season because, for me, I use it as a time to intentionally slow down, reflect, be grateful for my non-material possessions like my relationships, and allow myself to engage in activities that make me feel joyful. And, baking is one of those activities, particularly taking the time to create new recipes and try other recipes that I have collected over the year. Trying new recipes can also be a bit of a budget buster. New recipes do not always go as planned and there is always the possibility of wasting ingredients. And, for me, I usually cook for 2 and living wholly means that I cannot regularly indulge in consuming dozens of cookies. So, the holiday season is a great time to bake because I allow myself a to loosen my food budget a bit (I think of it as giving myself a present) for baking supplies and, since for the times that my recipes come out tasting great, I can give away the baked goods as presents (while I allow myself to eat one or two). But, one of the things I do to be a bit more healthy and budget friendly is that I bake Vegan. Even though I am a Vegetarian, in my experience, baking Vegan is a fun and easy way to make my own new recipes (though writing down exactly what I do along the way to replicate it later is a bit harder). Vegan baking allows for more creativity because you never have to worry about getting sick from certain under cooked ingredients like eggs. One of the first original Vegan cookies that I made was when I was planning a care package for my Grandma. My Grandma recently moved half way across country and it was her birthday. Her favorite dessert is key lime pie so I wanted to create a recipe that would be a Vegan inspiration from this dessert. It also had to ship well. So, I came up with the idea of making Vegan lemon lime cookies that were also low-glycemic, gluten free, and relatively high in protein. I added a bit of coconut milk to make it creamier and pistachios to add a bit of crunch similar to a graham cracker crust. BUT, it was like the Goldilocks tale. And, this is often my problem with creating recipes for baked goods. In the tale, all the beds looked the same to her until she laid down on each one: “this one is too hard”or “this one is too soft.” And, in this scenario, each time, the cookies would turn out either too dry or too soft (sometimes even burnt). Since I kept adding different amounts of ingredients until I got the perfect consistency, I do not know the exact recipe. One of these days though, I will come back to it so that I can publish the recipe. In the meantime, I am looking forward to lots of creative baking this holiday season. And, now that I have done it for a while, I make less mistakes. If you want to try your skills in the kitchen but do not know how well your recipes will turn out, I encourage you to try Vegan too. 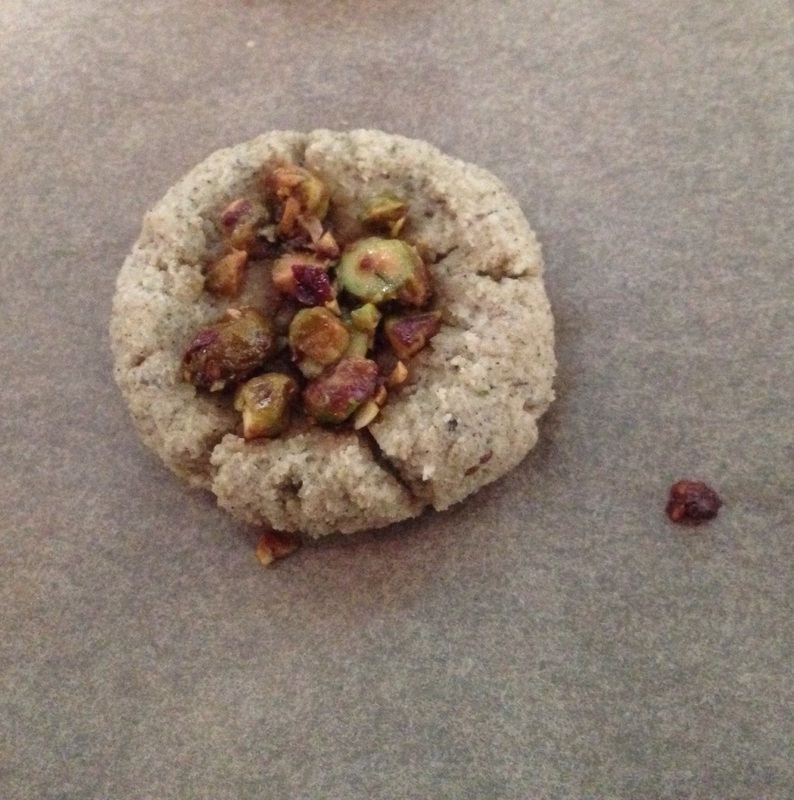 This entry was posted in Holidays, Uncategorized and tagged cs5711, holiday baking, recipes, vegan recipes on December 9, 2014 by livinwholly. I have certainly enjoyed your creativeness in the kitchen. I am looking forward to this year’s cookies.